Photo courtesy of Jess Rivilis, Boston College | The Heights, Massachusetts. Sharon Beckman has encountered and engaged with icons across various fields during her career. She not only received a single-spaced, 8-page letter with instructions on how to swim the English Channel by International Swimming Hall of Famer Jon Erikson, but she also clerked for the first female on the U.S. Supreme Court Sandra Day O'Connor. 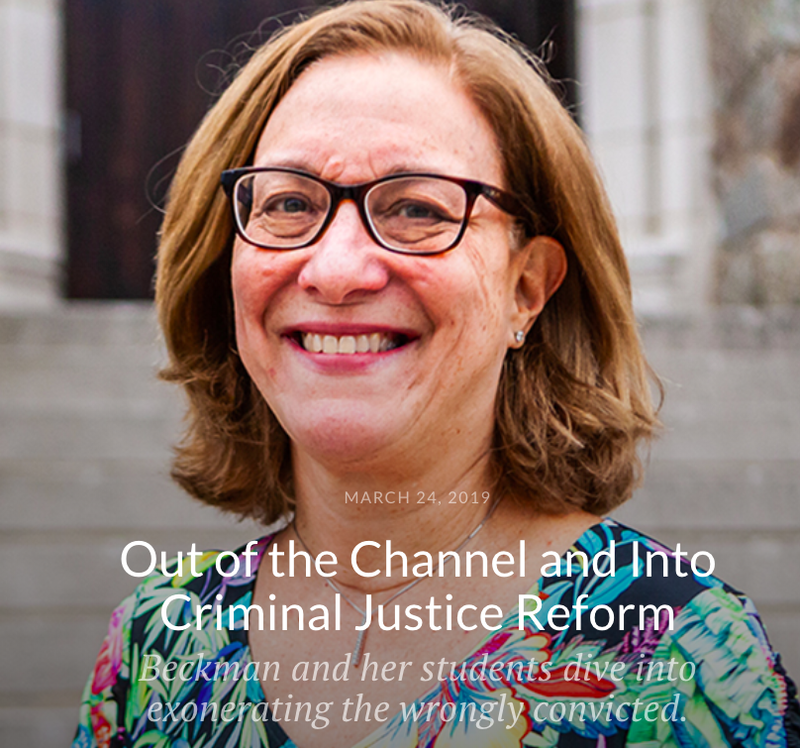 Along the way, Beckman swam a 9 hour 6 minute crossing of the English Channel in 1982 (an era without the benefit of techsuits or GPS), graduated from Harvard University, and became a law professor at Boston College. She also sets records as a masters swimmer, competed in a 16.1 km Lake Michigan swim, won the 12.8 km Boston Light Swim in 1982 in 3 hours 7 minutes, competed in the 38.6 km Atlantic City Around The Island Swim in 1983 and the 42 km Traversee internationale du lac Memphremagog in 1983. But even prior to her educational and marathon swimming exploits, she had a separate - but related - brush with history. In 1972, Title IX in the United States was passed that mandated equal opportunities for both men and women in American schools. The landmark law allowed Beckman to join her high school swim team and continue her swimming career that ultimately culminated in crossing the English Channel and finished 3rd in the 1983 World Professional Marathon Swimming Federation circuit. 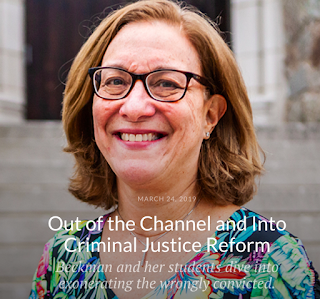 For an in-depth profile on Professor Beckman, read Out of the Channel and Into Criminal Justice Reform here.